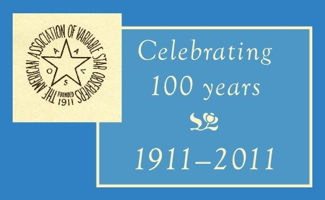 The AAVSO 100th Annual Meeting will be held at AAVSO HQ in Cambridge, MA and the Hilton Hotel in Woburn, MA. This is sure to be a once in a lifetime meeting with unprecedented attendance and a very special anniversary program. If you've been waiting to find just the right AAVSO meeting to attend, this is it! Paper Sessions: Members and friends are invited to present papers on variable stars and related topics. Papers will be presented Friday afternoon and Saturday morning/afternoon. We will also have a formal poster session on Saturday afternoon. In addition to our regular sessions on variable star related topics we will also have several special historical paper sessions on Wednesday morning/afternoon and Friday evening covering topics such as: Women in AAVSO History, History of Variable Star Organizations, History of Variable Star Sections in the AAVSO, and Variable Star Observers I Have Known. Celebration at AAVSO Headquarters: Join us on Thursday morning/afternoon for a birthday celebration at AAVSO Headquarters. The day will include a building dedication ceremony/plaque unveiling, invited talks, lunch, birthday cake/ice cream (perhaps even a round of "happy birthday to you" in honor of the AAVSO? ), and the sealing and dedication of the AAVSO centennial time capsule. There is a small additional fee for this event - includes transportation between hotel and HQ, morning coffee/donuts, lunch & birthday cake. Not going to be in town? We'll be trying to broadcast the Celebration on the Internet. See details here! Amphibious "DUCK" Tour of Boston Sights and Clambake: Come see the sights with us Thursday evening as we board a Boston "DUCK" - a contraption based on the DUKW Amphibious Vehicles used in WWII. Most of the 80 minute tour (covering 36 local sights) takes place on the streets of Boston but for 20-30 minutes the DUCK takes to the water and travels around in the Charles River. The tour drops off directly across the street from one of Boston's favorite seafood restaurants, Legal Sea Foods, where we will feast on a New England Clambake for dinner. Transportation between the hotel and the tour/clambake is included. Membership Meeting: All attendees are invited to this gathering, which will be held Friday morning. The purpose of this meeting is to inform attendees of the activities of the Association. The Director’s Report will be included. We will also announce AAVSO Council election results. Can't make it? We'll be trying to broadcast the Membership Meeting on the Internet! See details here! Book Reading: Advancing Variable Star Astronomy: The Centennial History of the American Association of Variable Star Observers has recently been published and is now available for sale. The authors, Mike Saladyga and Tom Williams, will hold a book reading Friday morning at the Woburn Hilton and will be available to sign copies of the new book. Centennial Banquet, Award Presentation, and Invited Speaker: The Centennial Banquet will be held at the Woburn Hilton on Saturday evening. The banquet will be preceded by a cash bar and followed by an award presentation. The evening will culminate in an invited talk by longtime AAVSO'er and consummate authority on the history of astronomy, Dr. Owen Gingerich. Calling the hotel at 781-932-0999 before September 10th, 2011. Please be sure to mention that you will be participating in the AAVSO meeting when making room reservations. Visiting the Woburn Hilton Online Reservation Page before September 10th, 2011. Simply complete the sections labeled "Stay Information" and "Room Type Preferences." Then under the "Special Accounts" section enter AAVSO in the Group/Convention Code field. When you submit the form you should be given the $99 rate. You must select the room you would like to reserve from the list given. Then you are asked to provide contact information and a credit card to hold the reservation. If you have any difficulties getting the $99 rate, please contact us. Autumn is a beautiful time to visit New England. Boston is a city filled with many interesting museums and attractions. Bring your families and stay a few extra days to enjoy the sights! Roommate matching assistance will be available for those who would like to cut costs by sharing a room - just complete the appropriate section of the registration form. - The hotel has free shuttle service within a 5-mile radius of the property. A shopping mall, many restaurants, and bus service to/from the airport are all located well within 5 miles. A subway stop, which provides service into downtown Boston for sightseeing, is also located within the 5-mile radius. - For those driving or renting cars - there is plenty of free onsite parking! - Transportation will be provided between the Woburn Hilton and AAVSO HQ for events being held at HQ on Wednesday evening and Thursday. All other meeting events will be held at the hotel. RECOMMENDED! Logan Express Bus: Runs every hour to half hour depending on the day of week. Direct to airport, no other stops. No reservations required. Fare is $12 one-way & $22 round trip. This bus picks up at all airport terminals and drops off less than 10-minutes from the Hilton at the Anderson Regional Transportation Center. You can take the free hotel shuttle (call the hotel front desk upon arrival - 781.932.0999) or a taxi from there. If you wish to register for the meeting please contact Rebecca Turner for instructions. Note that the registration fee does include a hot breakfast buffet & coffee breaks on Wednesday, Friday, & Saturday. Spouse/Guest Networking: We encourage attendees to bring spouses, family members & other guests to the meeting, but we know that some guests may not wish to attend all of the sessions. This year we will set up a mailing list so that spouses/guests can share sightseeing ideas and make plans to "hit the town" together. Sign-up for this mailing list is available via the meeting registration form. Meeting attendees are permitted to submit up to 2 abstract forms. (This can be 2 posters, 2 oral presentations or one of each.) Abstracts are limited to 500 words. Please note: We are expecting increased attendance and will have a limited amount of time to accommodate oral presentations. If we are unable to schedule your paper as an oral presentation, you will be informed by September 6, 2011 and you will be welcome to present your work as a poster paper. The Saturday poster session will be more formalized than in recent years with dedicated time and space for posters. We encourage authors to submit posters for this meeting. Maximum poster size is 4'x4'. If you will be traveling from abroad and will require a letter of invitation to obtain your visa, we will be happy to assist you. Please contact us as soon as possible to inquire about a letter of invitation. Please consider joining us in October to help celebrate this once in a lifetime event! Please feel free to contact us with any questions about the meeting.